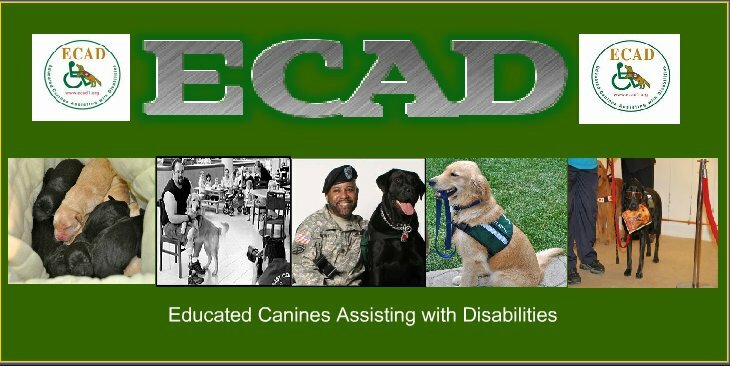 ECAD Service Dogs: Come March With Us! 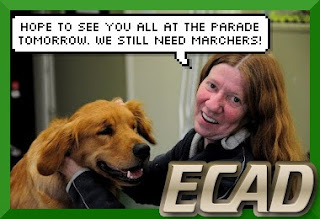 ECAD invites YOU to march with us in the 16th Annual Rockville Centre St. Patrick's Day Parade! ECAD will be leaving the campus of Children's Village at 9:00 a.m. sharp and is expected to return no later than 4:00 p.m. The parade is .72 of a mile and we will have a float and the bus, for those who may need a break from marching.